envisions a system where transit works – every time, all the time. In order to expand service by 70%, we’ll be busy working behind the scenes to support new service. 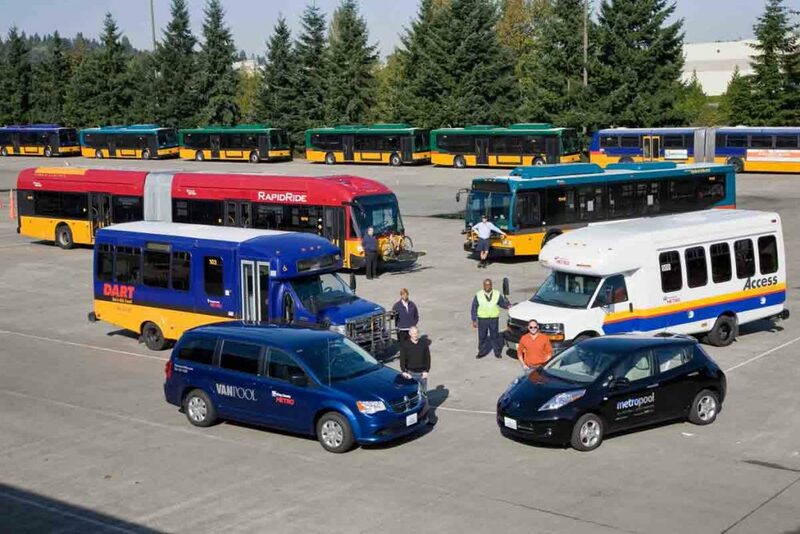 Metro will invest in new, low-emissions vehicles, in facilities for critical functions like storing and maintaining buses, and in developing a workforce for the future. Cutting-edge vehicles designed for customer comfort, safety, and efficient and green operations. Metro would need to expand its fleet of buses, vans, and support vehicles to provide the higher levels of service envisioned in METRO CONNECTS. We estimate that we would need about 625 additional buses by 2040. 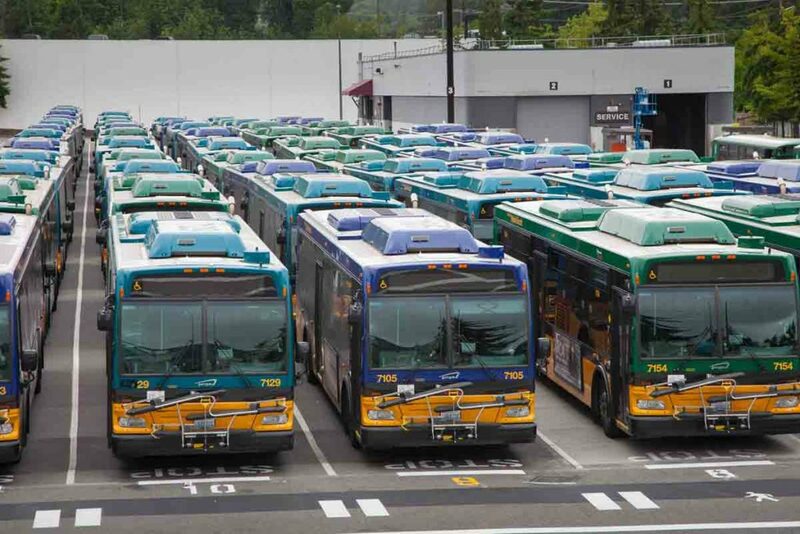 With these additional buses, and the replacement of our existing fleet of about 1,400 vehicles, METRO CONNECTS envisions having a fleet of entirely zero-emissions, low-floor vehicles. 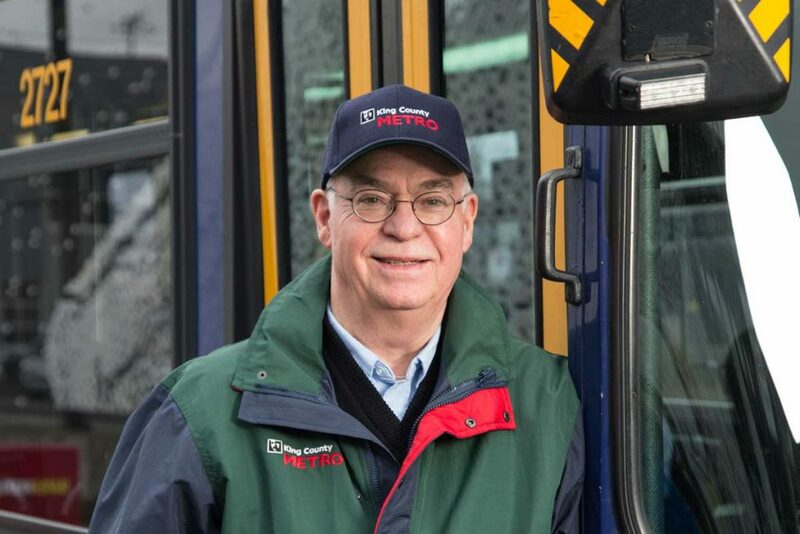 Metro’s current fleet has about 1,400 fuel-efficient buses, including hybrid diesel-electric and clean-diesel coaches, electric trolleys, and several battery buses. Our fleet also includes paratransit and DART vehicles, Vanpool vans, and electric cars for the Metropool commute program. A large additional “non-revenue” fleet has tow trucks, supervisor vans, maintenance trucks, and more. Procure state-of-the-art vehicles to support expanded service and replace vehicles at the end of their useful lives. Use fleet design criteria that focus on customer and driver needs. Support and expand the trolley network. Meet SCAP targets by moving toward a zero-emissions fleet. Critical for reliable service and for our drivers. Layover sites—where buses rest between trips—are critical for getting buses to the right place at the right time and for giving our drivers safe places for breaks. METRO CONNECTS envisions that by 2040, we would need to increase layover spaces by 50 percent. As development competes for layover space on streets, Metro would make significant investments in new, off-street facilities. While more costly, these facilities would provide long-term stability and benefits for riders and bus operators. The location of layover sites has a huge financial impact on Metro operations; service costs more when we have to drive empty buses long distances to reach layover spaces. Well-located layover areas—close to the start and end of route —give us increased scheduling flexibility, reduce the amount of time buses travel to the beginning or end of routes, and can have a positive impact on reliability. Layover areas must have clean, safe and well-lit facilities for bus operators. Many of these spaces would be needed in dense urban areas, including downtown Seattle. We would need to update and renegotiate many current layover agreements, develop new ones, and invest in off-street layover facilities. Ensure that adequate layover areas are provided and explore innovative options for layover development. Work with jurisdictions to site on-street layover areas or build off-street layovers. Continue partnerships with other agencies to secure layover space. Bus bases, support facilities, and maintenance to keep our system running smoothly and safely. A major component of the investment called for in METRO CONNECTS would go toward building and maintaining the infrastructure Metro needs to expand, improve, and operate service. Metro has already made significant investments in infrastructure to support service on the streets. Maintenance of our bus bases, other support facilities, and structures for customers such as bus shelters, transit centers and park-and-rides is critical to the delivery of quality service. Because Metro’s capital infrastructure is aging, the need for investment continues to grow. Maintaining a state of good repair would help to prevent larger costs for deferred maintenance down the line and ensure that our customers enjoy a world-class transit system. Metro’s seven bus bases support an average of 200 buses each, and have both operations and maintenance facilities. Metro is currently near capacity at existing bases, limiting our ability to add more vehicles to the fleet. Beyond the bases, we would have to expand and accommodate a variety of facilities and functions if Metro service grows as proposed in this plan. 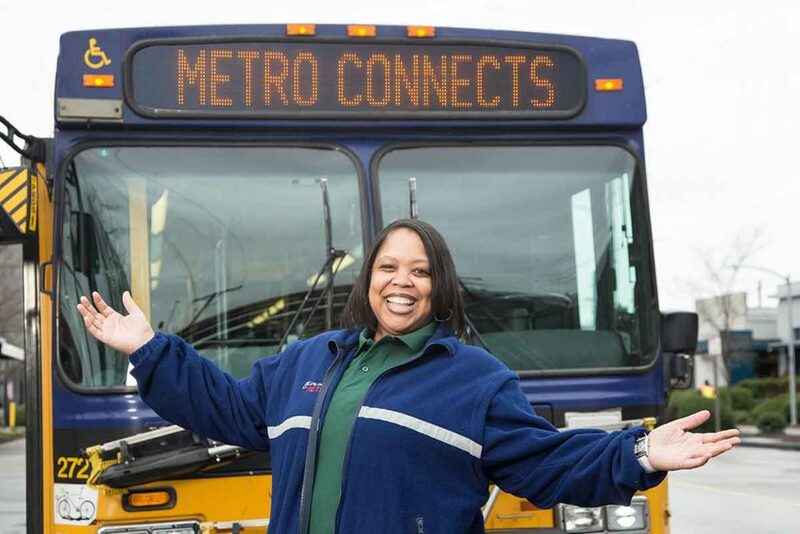 Safety is Metro’s foremost goal, and METRO CONNECTS identifies infrastructure and resources needed to make our system safe for our customers and our employees. Emerging technologies that interconnect travelers, vehicles, management centers and the roadway—called Intelligent Transportation Systems (ITS)—will transform the way we travel. Metro has been a leader in using ITS. A wireless communications network on our RapidRide corridors enables buses to request priority treatment at traffic signals, lets passengers pay their fares before boarding, and delivers “next bus” information to electronic signs at stations. We’ll build on this architecture to deliver such improvements systemwide, connecting the management of transit and other transportation modes to make our service faster, more reliable, and easier to use. Continual investment to preserve and expand the vehicle bases, support facilities, safety and security infrastructure, and information technology assets that are vitally important to providing excellent customer service over the long term. Preparing to deliver more and better service. To attain the METRO CONNECTS vision, we would have to substantially grow our workforce. We would need employees with highly specialized skills who can adapt to change as we adopt innovative vehicle and communications technologies. We would maintain our commitment to building a diverse workforce and giving all employees equitable access to development opportunities. Above all, we would make sure employees have what they need to provide the highest level of customer service and safety. 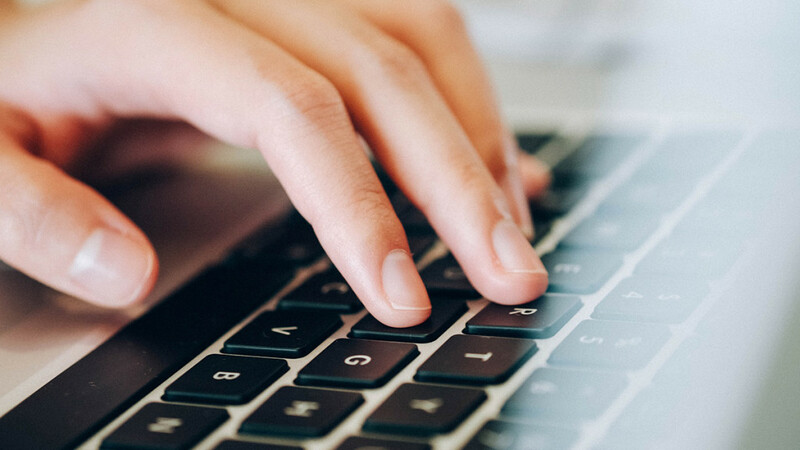 Efforts to attract and retain a quality workforce would include robust employee training and development programs—especially important as we currently face a high retirement rate among supervisors and managers. As the changes envisioned in METRO CONNECTS unfold, effective internal communications would be critical for building a common understanding and commitment to the transformation of the Metro system. Continuously improve safety—Metro’s highest priority. Promote diversity and inclusion in the workforce. Respond to a high retirement rate by training a new wave of employees and leaders. Keep employee skills up-to-date with changing technology and innovation in the transit industry.